South Beach Seafood Week is officially here! We’re so excited to welcome the incredible Whole Foods Market back for another year of sustainable seafood on the sand. When you think of Whole Foods Market, the first thing that may come to mind is organic and fresh produce. What you may not know is that their seafood department serves up some of the best quality seafood you can find! 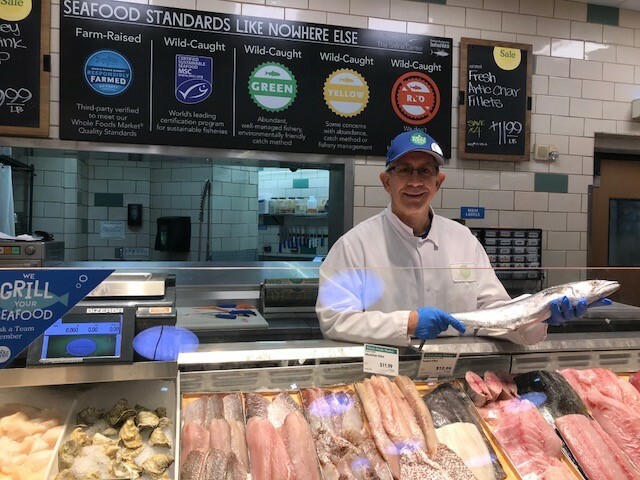 Whether it’s wild-caught, responsibly farmed, fresh or frozen, everything in Whole Foods Market seafood department fits their strict quality standards. Whole Foods Market only sells wild-caught seafood that is certified sustainable from the Marine Stewardship Council (MSC) or rated “green” or “yellow” by the Monterey Bay Aquarium Seafood Watch and The Safina Center. We wanted to know, what’s the best catch in their Seafood Department right now? So we caught up with Eddie Steadley, Whole Foods Market Seafood Associate Coordinator in Florida to find out. Our top tip after meeting with Eddie? Meet your local Whole Foods Market Fishmonger and get tips on how to prepare your favorite fish. They will fillet, clean, peel, or crack your selections for you while you shop. You can find Whole Foods Market at the South Beach Seafood Week October 17-21st! Visit us at their Main Event on October 21st with a Seafood Burger Bar – serving up their made-in-house salmon and shrimp burgers! And don’t miss experiencing the Whole Foods Market Culinary Kitchen, home to seafood and wine demos throughout the day of the festival. Squeeze the juice of 4-6 limes into a container and place your 2lbs of lionfish in the juice. Be sure the fillets are completely covered. Place in refrigerator for 6 hours. Prepare your cucumber, red onion, cilantro, and jalapeno, and place in a large mixing bowl. Take fish out and chop into small, bite sized pieces. Discard lime juice used to marinate. Place chopped fish in mixing bowl with vegetables. Add remaining squeezed lime juice, rice vinegar and mix. Before serving, take ceviche out for 30 minutes, add diced tomatoes. 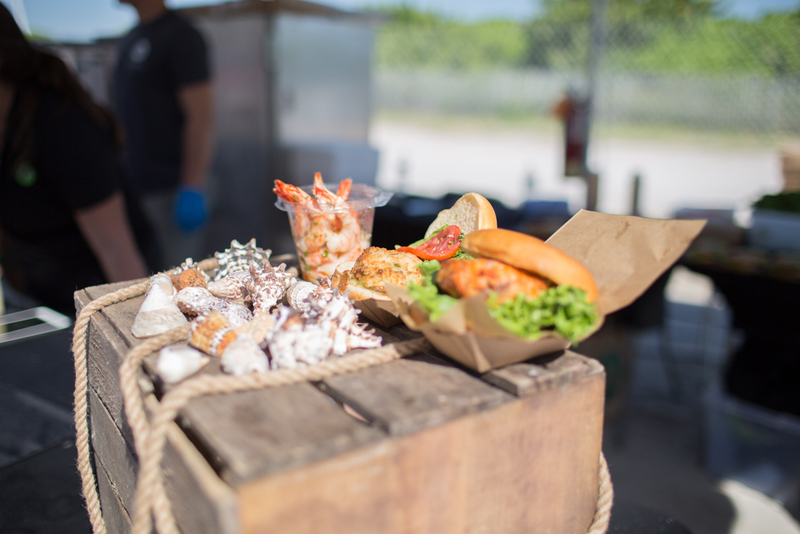 Come out to South Beach Seafood Week and enjoy sun, sand and seafood!